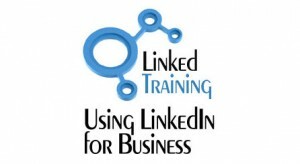 We offer alternatives for LinkedIn training to suit all requirements. These range from public training schedule which we run in a growing number of locations around the country to in-house workshops which are delivered at your premises for your teams with the content designed to fit with your business requirements for using LinkedIn. Please follow the relevant link below for further information or call on 020 3633 0230 for an initial conversation on what you are looking to achieve. Half day or Full day LinkedIn training delivered at your premises which can be customised to ensure that it exactly meets the goals of your Sales, Marketing or HR departments – or indeed a session which will cover the general requirement across all parts of the company. A very cost effective solution, we have been delivering in-house LinkedIn training sessions across the UK for the past 8 years and have trained over 380 companies and 1000’s of people through them. 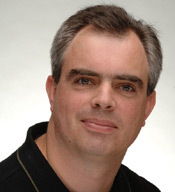 Using live demos, the LinkedIn for Business workshop is designed to ensure that you are best placed to use the power and opportunities of LinkedIn for you and your business, giving you the know-how to market yourself, increase your visibility & reputation and, most importantly, develop new business on it. With over 500m users worldwide and over 23m in the UK alone, LinkedIn provides access to a vast potential pool of talent and organisations – the challenge is to use this effectively. LinkedIn offers recruitment agencies, executive search and recruiters in general a hugely important tool which has enormous potential both on the client side and in terms of candidate research.